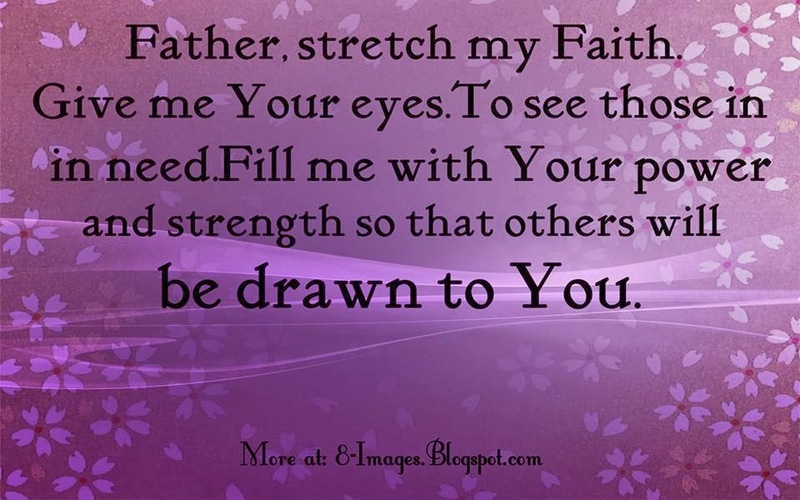 Stretch your faith in Me, says the LORD. Expand your vision. See what I want you to see. Hear what I want you to hear. Embrace what I have for you, says the LORD. Your vision is too narrow and you have not looked beyond the perimeters that you have set. You have placed limits that I keep you from what I have for you. I Am unlimited and I AM El Shaddai, the GOD that is more than enough. I said that I would give you exceedingly, abundantly above that which you could ever ask or think by My power that works in you. I will give you the unimaginable if you will only believe! I have no boundaries and I have no obstacles and there are no walls that keep ME bound. Exchange your vision for Mine and let My mind be in you so that you can think My thoughts that I have for you. They are only good. They are full of sudden blessings that go far beyond what you envision, says the LORD. Will you relinquish your small hopes and dreams and exchange them for MINE? For I will honor your faith. Let it be said of you, “Great is your faith!” Do not limit Me or bring me into your realm of possibilities. Look for the miraculous, for that is what I desire to do. I will do great and mighty things among those who believe in Who I Am and receive what I have for them. Expand the borders of your thinking and pull up the stakes of your tabernacle and move toward the promised land of your possession with great courage and faith. I will part the Jordon for you and you will walk on solid, dry ground to your promised land and see the richness of your inheritance in Me. You haven’t seen anything yet, and I have great plans for you, a prosperous destiny and a bountiful harvest beyond your imagination if you will dare to believe and embrace what I have for you, says the LORD.